GE14 Expert Series: As Malaysia gears up for the upcoming General Elections, academics from the School of Arts and Social Sciences share their views on a range of issues that help us rethink the way we engage politics in Malaysia. Foreign policy plays little role in Malaysian political life. Most issues of international diplomacy are not contentious ones in domestic politics – whether it is on ASEAN and the Rohingya crisis, relations with the EU on palm oil exports, or even ‘hard’ security issues such as counterterrorism and ISIS, or the South China Sea territorial disputes. The one exception that is now playing a prominent role in the GE14 campaign, however, is over the character of Malaysia’s political and economic relationship with China, especially over the implications of Chinese investment in Malaysia, including claims (and counter-claims) over Malaysian sovereignty being contested. How does the GE14 campaign – and outcome – affect international diplomacy? One of the most influential articles in political science is Robert Putnam’s ‘two-level game’ framework that explores the interaction between diplomacy and domestic politics. The normal image of international diplomacy – summit meetings and negotiations involving foreign ministries and heads of state – is the ‘Level 1’ game. National representatives bargain with each other, seeking trade-offs that are mutually acceptable in order to reach cooperative terms. Crucially, however, Level 1 outcomes need to be ‘ratified’ (in Putnam’s language) or affirmed by domestic constituencies, which constitute the ‘Level 2’ game. National representatives now bargain with their own domestic constituencies for approval, which can include business, unions, other political groups, and civil society. These constituencies now face the choice to affirm – or reject – the outcomes of international diplomacy at Level 1. National representatives know this, and as a result also know that they can only offer terms on the international stage that will receive collective domestic approval – or they run the risk of this approval failing to materialise, as well as approval for their own position potentially fading away. Processes of ratification happen continually through the interaction between national representatives and domestic constituencies, but national elections provide the litmus test of domestic ratification. Through this perspective, therefore, GE14 is the ‘Level 2’ game – where pending agreements and undertakings surrounding Malaysia’s relations with China made by the incumbent government are now subject to ratification. Contesting parties present different arguments about the costs and benefits of these agreements for different segments of Malaysian society for voters to make a judgement. The Level 2 game matters because it affects the Level 1 game. A failure to achieve domestic ratification can mean that whatever that was previously agreed at Level 1 collapses, as national representatives would have been unable to ‘sell’ its Level 1 agreement back at home, a case of ‘involuntary defection’ from the agreement. Endorsement through the polls, however, would mean that the Level 1 agreement is effectively ratified. Through all this, the perceptions of Level 1 counterparts (i.e. those that national representatives engage in international diplomacy with, in this case China) are also affected by the Level 2 game, because the Level 2 game becomes an important signal of credibility. For instance, if China perceives Malaysia’s representatives as struggling to sell an agreement to its domestic public, it may demand further conditions to protect its investment. At the same time, however, Malaysia’s representatives may be able to use domestic resistance to Chinese investment as a bargaining chip, to highlight the limits to making concessions as a result of domestic resistance. Elections are about a range of issues and identities, and the foreign policy calculus may not be decisive or significant for all (or many) voters. But the GE14 vote nonetheless provides a signal of support – or dissent – about the Level 1 undertakings that national representatives have agreed on over the past few years, and will have considerable consequences on the future direction of Malaysia-China relations. More generally, we see the impact of domestic politics on foreign policy in the world around us: last year’s South Korean elections saw a new government take a different approach to in inter-Korean relations, the most dramatic fruit of which was the Moon-Kim meeting and handshake at the DMZ just weeks ago; in the UK, the governing Conservative Party’s Brexit diplomacy is constrained at every turn by the need to manage domestic party politics. In this respect, Malaysia is no different – the conduct of international diplomacy is shaped by the process of domestic accountability that GE14 represents. National representatives have to ‘play’ both Level 1 and Level 2 games, and the ‘China question’ in GE14 is the Level 2 test of the Level 1 diplomatic game between Malaysia and China. 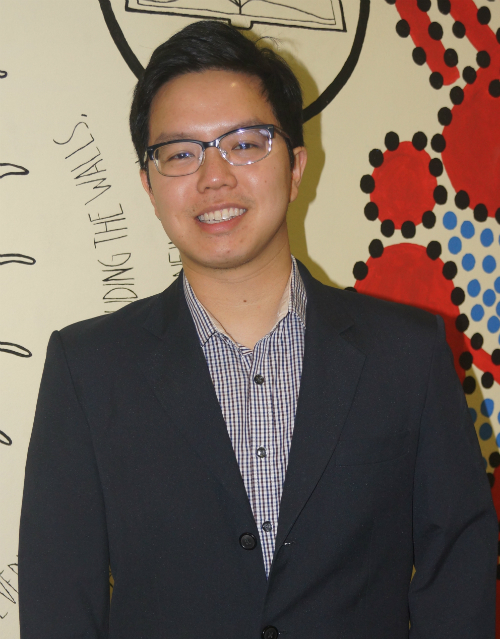 Dr. Nicholas Chan is a Lecturer in Global Studies with the School of Arts and Social Sciences. He teaches on international relations, global economic governance, and international migration. His main research interests focus on environmental issues and international diplomacy. Putnam, Robert, 1988, “Diplomacy and domestic politics: the logic of two-level games”, International Organization, 42(3), 427-460.